We strive to be the best web design company in Connecticut, bar none! It all starts with you and understanding your unique needs. Obviously the aesthetics for a tattoo parlor should differ from that of a nursery school. Unlike other web design companies, who may use off-the-shelf website templates, we take special consideration of our clients’ image and deliver a custom web design best suited to their individual needs. After discussing your particular requirements, we will present to you a preview of the web design we have in mind for your organization. At this point, you have the option to request changes or modifications. We want to make sure that we’re on the same page! Once you give us the go-ahead, we get started immediately on designing your website. 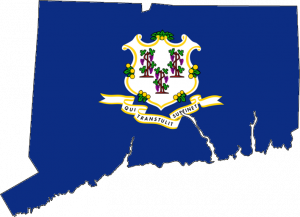 We have clients across the United States and even a few abroad, but the majority of our clients are businesses based right here in Connecticut! We’re based out of New Haven, CT and have a special connection with other CT businesses. We are happy to communicate over the phone, email, or Skype, but sometimes it’s best to sit down for a face-to-face meeting. We’re able to come out to visit Connecticut businesses or can arrange a meeting for you to visit our offices. We design all of our websites with responsive design technology. But what is responsive design? In the beginning, web design was simple. You created a website and that was that, it looked the same for everyone. As time progressed, more and more people started browsing the web using their mobile phones instead of computers. Web designers wanted to make special versions of their web pages that looked great on smaller screens and so they commonly made “mobile sites” to go along with their main web sites. But mobile sites had certain drawbacks. For one, they created a lot of additional work. Every change to every page of every website needed to be done twice; once on the regular website and once on the mobile site. The other issue is that people use more than just computers and phones to view the web these days. They also use tablets, widescreen monitors, and other devices. Enter responsive design. Responsive design is a method of creating a website that adjusts itself based on the screen size viewing it. You have the ability to update all versions of the website at once, while keeping the site optimized for all different screen sizes. If this sounds complex, don’t worry. You don’t have to do anything! Just rest assured that the websites we build will look great whether viewed on a desktop computer, laptop, mobile phone, or tablet! Call now! We’re here to help!